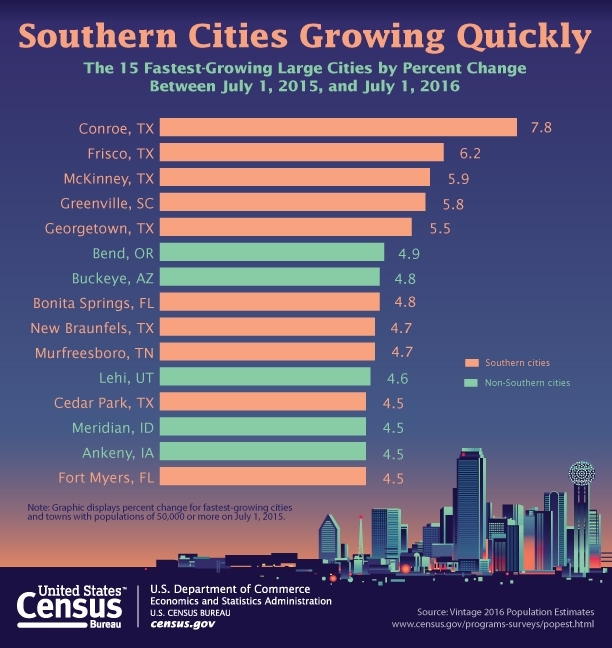 ​​​​​WASHINGTON, D.C. – Conroe has topped the U.S. Census Bureau's list of the fastest-​growing large cities in the nation with a 7.8 percent population growth. Conroe Mayor Toby Powell expects the city of ​nearly 82,300​ to have 100,000 residents by the year ​​2020. No. 12 Cedar Park, 4.5 percent growth.